Today no one can not imagine my life without transport. One of the most popular means of transportation is considered a Bicycle. He has a number of advantages which cannot be denied: convenience of storage, ease of use, health benefits. However, there are problems facing every bikeEast when you have to use public transport, like the Bicycle to transport. The passage of the subway. 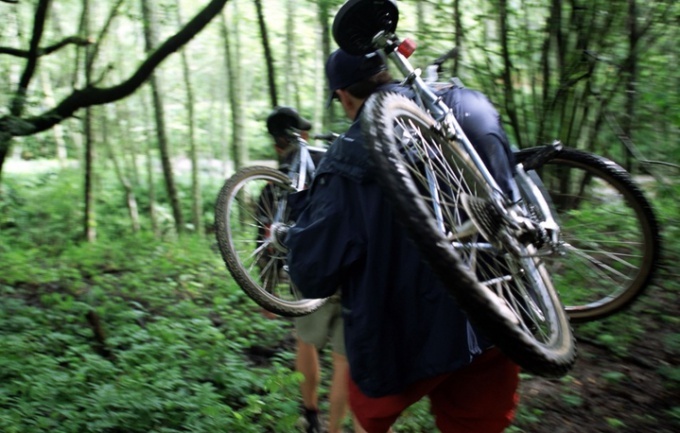 Before entering the "undo" front wheel, hang the bike on the shoulder or take it in hand. Passing through the turnstile, you'll have to buy a ticket not only for themselves, but also on the vehicle, temporarily became the Luggage. So read the rules of the underground. But in reality, you can not take a ticket on the bike, this one will not be fined. The main thing is not to roll it, and carry in their hands. By the way, bike must be clean to avoid staining of passengers. The passage of the train. If the bike is collapsible, then the problem should not even arise. Fold it, pack in the carrying case. In accordance with the rules of the Railways any person is allowed to carry hand Luggage on your ticket. Mandatory condition — the cover must be clean. If the bike does not understand, it will have to issue as additional baggage and placed in a special baggage car. The procedure will take some time and will cost you an additional fee. The passage of the car. During road trips bike, if he is whole, can be attached to the trunk of special fasteners. Collapsible vehicle quite fits in the trunk. For transportation of the bikeand the plane will need to pass it in the Luggage compartment. But with Luggage in the airport, especially not stand on ceremony, so the best solution is to disassemble it completely. Before the cogs and pedals. Put all the details into a convenient bag, because the special case is pretty flimsy and can not withstand the flight. Rules of transportation the Bicycleand the tram, trolley bus and bus are not regulated. It all depends on the fullness of the cabin and the kindness of the conductor. Some controllers strictly not allowed as part of the transport with a Bicycleohms, and some even do not charge additional charges for baggage. Remember that each can agree on-men, the main act politely and quietly. With freight car owners often face. It all starts with shopping and ends with carriage of bicycles and building materials. And not all goods are easily intermeddle in the interior of the car. In this case, they are transported on the roof of the car. But it is necessary to observe some rules and to carry only what is allowed. Before shipping something in the trunk of your car, read the manual to him and make sure that the body will withstand the overloads that you are going to give him. Just some roofs it is not intended for installation on them of a special trunk. If you are going to carry cargo on the roof of your car, remember that the body can withstand 50-60 kg weight. The maximum you can throw another 10. But more is not recommended. On the roof of the car to carry different loads. For example, a metal pipe. True, there should be very clear to calculate the volume and weight of cargo. Try to weigh the pipe or to ask about the total weight, from whom you took them. If you weigh or clarification is not obtained, use the formula: of the outer diameter subtract the wall thickness of the pipe. The result multiply by the wall thickness and then by 0.025. It is desirable that the trunk had a rubber lining. It is necessary to reduce friction. 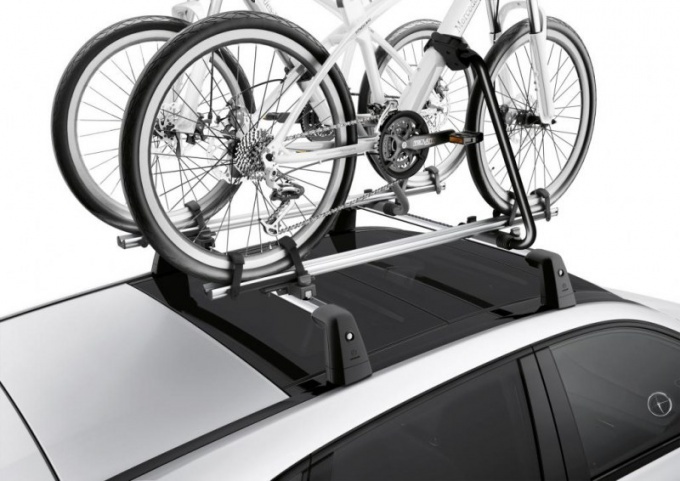 On the roof rack of a car can be transported materials such as polycarbonate and plywood. This is despite the fact that they are called one of the most unpleasant types of cargo. Because plywood at speed has a very powerful lifting force that can pull the trunk in case of exceeding the allowed speed is 50 km/h. in addition, in order to avoid such consequences, be sure to securely mount the pipe on the roof, paving them with rubber gaskets. Lumber - another kind of cargo that you can carry on the roof of the car. When picking a cargo it is important to calculate its volume. You can calculate it by a simple formula: the volume of the material, multiply the weight of a cubic meter of wood (find this figure to be in a special directory). Also on the roof of the car carrying the bikes. They are fixed with special fasteners, be sure vertically. Baby strollers, lightweight small furniture and more is also possible to transport in the trunk of a car. Some craftsmen carry on the roof of the car, even small boats. Transporting oversized cargo, it is necessary to mark it with a special sign with reflective film. To carry these loads recommended in the daytime, but by night, from such visits should be abandoned. To strengthen the load by using a special very strong ropes, also suitable harnesses with hooks and ribbon with locks. Remember that your goal is to secure the cargo safely. After all, if he breaks down on the road and will cause accidents involving other cars, the driver is to blame, which was carrying cargo. In addition, it is worth considering that the Luggage should not block the driver's view, to violate stability, to interfere with control of a car, to cover room, to pollute the atmosphere (e.g., dust), noise, etc. If you follow all the rules, transportation will not be a difficult task, and the cargo will be delivered safely to the destination.